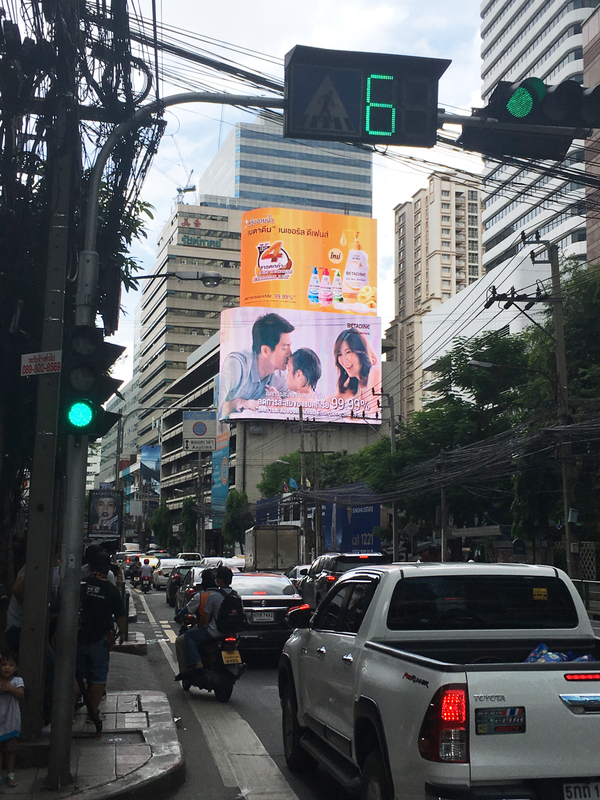 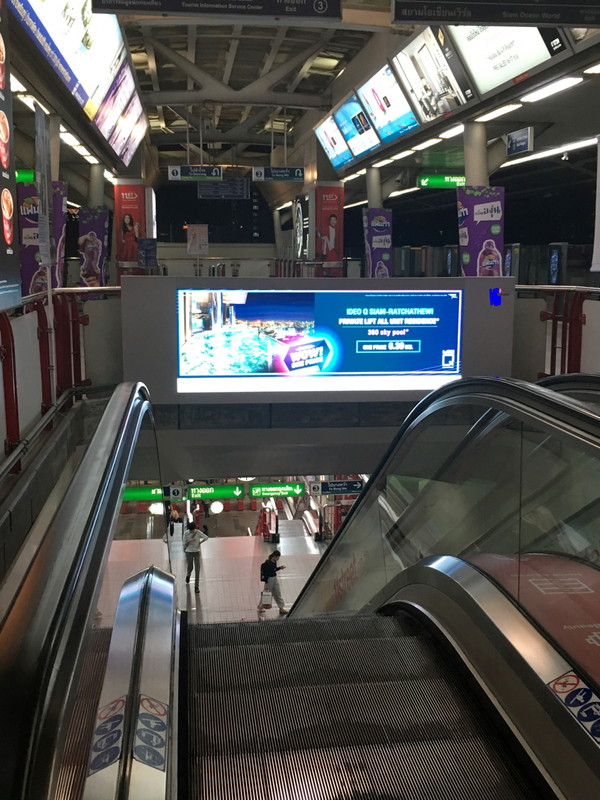 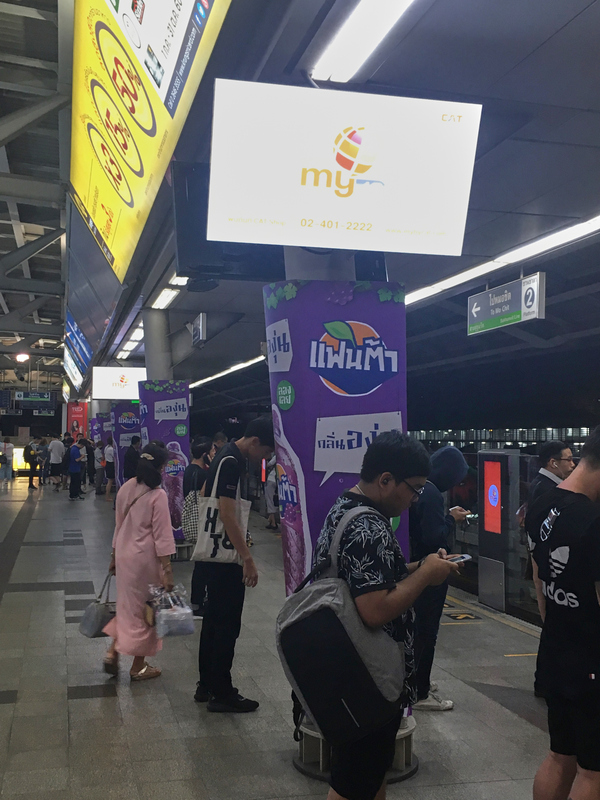 It is very difficult to escape video advertising in Bangkok, on the sides of buildings and especially on public transportation. 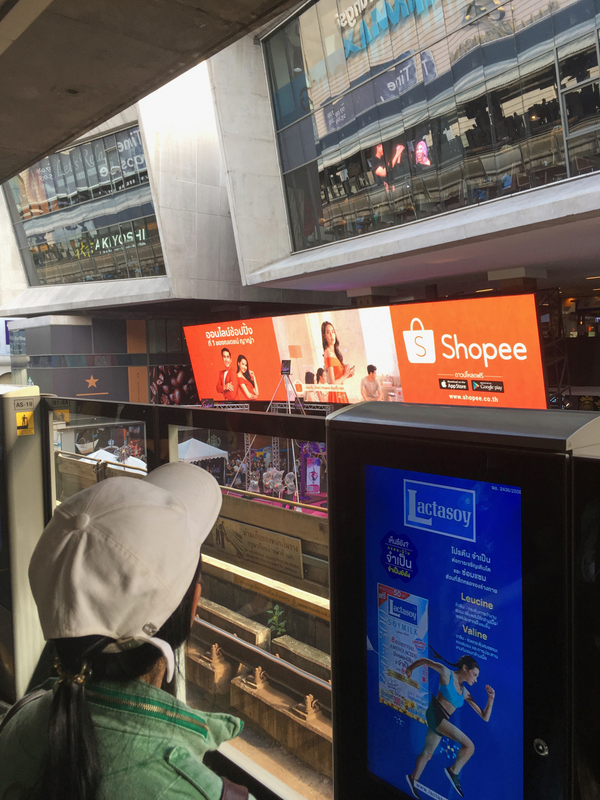 I hear the warrior from Clash of Clans scream every morning and afternoon at least once, see the very pretty male model sniff the wonderful fragrance of his freshly-laundered shirt as four beautiful women surround him, and watch a bunch of attractive people buy up everything in sight using the “Shopee” app. 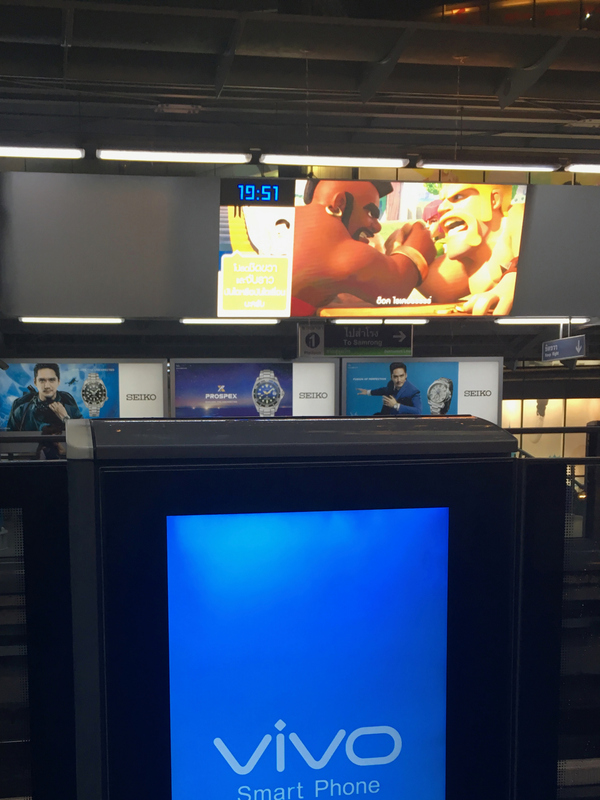 I’d say everyone else on the train does, too, but half of them have their eyes glued to their own personal screens.